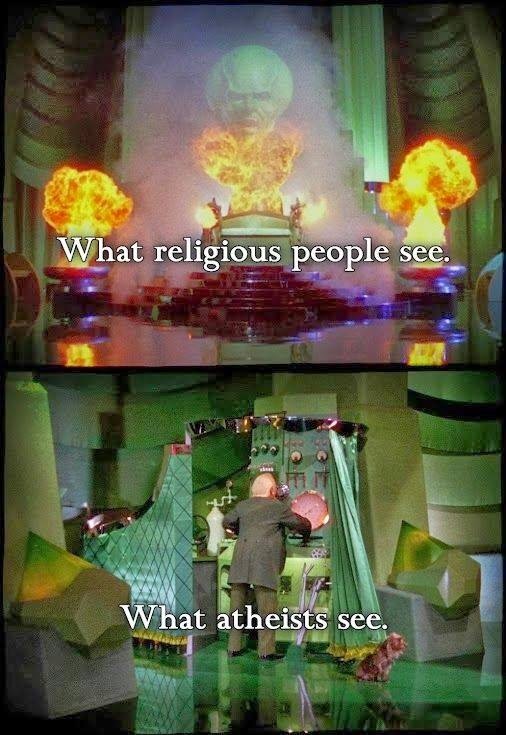 I have always loved the Wizard of Oz! Yeah, yeah, I know what that's supposed to signify! That's why only a few people know it's one of my all time faves. However, whenever I've heard the movie mentioned in relation to, or by, those of a less mainstream sexual preference, it has been alongside phrases akin to 'The path of Dorothy' etc. I suspect that the movie's thinly veiled 'Be who you are' and 'You're as strong as you need to be' message, is what grabs those who love Dorothy but, not having been born on that tram, I'm of course only guessing. My own personal magic moment in the movie relates to another aspect of the 'ownership of self' themes I believe it explores. As you may have guessed if you've read previous posts, my 'Dorothy' moment comes when she comprehends that the 'Great and Powerful Wizard of Oz', isn't a wizard at all! I first saw the Wizard of Oz in the cinema, when Mum and Dad took my brother and I. I'd have been about 6. The moment you choose to see beyond the smoke and mirrors and take a look behind the curtain at how things work, reality is revealed. "For Wizard... Read God! For Smoke and Mirrors... Read Heaven!" This post is about we, not the you & me, we (as far as I'm aware we've not met lol) and not urine, that's a different spelling. No, this is post is about the use and abuse of the word 'WE' meaning 'us', a group. Not the most exciting word you might think and to be fair I mostly agree, we is just a word of inclusion. Right? A friendly 'group hug', cuddly sort of word? Well yes it is but it can also be exclusive (bullying) and divisive. The problem with the word "WE" is directly because of its very ubiquitousness - it's so incredibly useful, it substitutes for all sorts of collectives. We can mean "you" - When the person saying it has no intention of helping! We can mean "but not you" - A bullying group can snidely say to a deliberately excluded individual - "We're going to the cinema." We can mean a pair - Partnership - Business / Marital / Sexual etc. We can mean a small group - Activists / Book club / Community / Council / Lodge / Secret Society / Petitioners - "We, the undersigned..."
We can mean a 'loose' group - People form transient We's - when at a convention, a lecture, an evening class or jury duty etc. We can mean a large group - Political Party / Trade Union / Sports or Music fans etc. We can mean a massive group - Religion / Language / Country - "We, the people..."
The problem is, 'WE' is contextual and every contextual word depends heavily on the ability of the listener to correctly recognise the context in which you are using your 'we'. If someone said to you... "We are the master species on this planet." you might easily assume these are the words of a bigot. However, on hearing the intended, unspoken meaning of that someone's message... "We (the human race) are the master species on this planet." You might change your mind. Even, maybe, agree. Perhaps when we hear someone say "WE", we should consider that we have had to assume meaning based on our experiences. Perhaps when we hear someone say "WE", we should remember and beware of our own fears. Whether they be core fears, socially or religiously indoctrinated fears, or just pet fears, no matter whence they come, our own fears will likely have a bearing on the meaning of the "WE's" that we hear. And none of us are immune, we are all forced to draw on past experience to comprehend contextually. Society would grind to a halt without contextual shortcuts. Twitter exists only because of our naturally evolved contextual brevity. If what we assume, when we hear "WE", tells us more about our individual self than we'd immediately think, then perhaps, it may be wise to ask for clarification before jumping to misjudgement and ripping the speaker's head off! I have no real idea when I reclaimed my atheism. It was young, maybe 6 or 7. I started noticing some things the grown ups were saying, didn't make sense. I felt silly doing prayers and hymns and pretending like everybody else was. After a conversation about our respective childhood religious indoctrinations with @CMS11163 I started remembering something that, over half a dozen childhood years, had become a kind of mantra of a tot's defiance - an array of unasked queries about the Lord’s Prayer. A mantra which occupied my head whilst I was forced to speak the expected nonsense to everyone’s favourite invisible friend on the weekly let’s pretend day for ‘grown ups’. It didn’t seem unusual that the grown ups had a ‘dressing up and pretending day’, we had them in nursery and primary school all the time. They had been fun but, by the age of 8, I thought myself much too grown up for such silly games. I didn’t begrudge those who were still wanting to pretend, it was kind of fun but I just didn’t want any part of that ‘This is just being silly’ feeling that I got every time I prayed. I guess that's where the Too Many Questions started! There are many instances in the bible where jesus talks with god, and many are performed outloud and before of a crowd. God is supposed to know everything. Isn't he? His son would surely know that? Wouldn't he? He would, right? He seems to know it anyway, 'from the horses mouth', his 'own' words in that book about him. So I reckon it's pretty fair to assume that the son of god would know that he didn't need to have ANY audible conversations with dad/god? Indeed, would it be reasonable to further assume that for god to be kept up to speed about what's going on in his ONLY son's life, Jesus would only have had to think something? And Dad, being god and all, would know the thought in his son's head, possibly even before his son had thought it? And I don't want to get into the "God IS Jesus" nonsense but really, if he is 'him & himself', wouldn't he already know what he wanted to tell himself? As any speech where Jesus is addressing God is unnecessary for communication, what is it's purpose? Outloud and before a crowd. As we have already cast serious doubt on Jesus' need to communicate outloud with an all knowing father who is also himself, I feel it must be assumed that any conversation Jesus had with God which was outloud and before a crowd was ONLY to convince the crowd. An 'only for show' manipulation of his primitive fishermen and labourer followers. It may be argued that a manipulation 'merely to make his point' is excusable but I'd suggest it doesn't matter how favourable a truth is to a person, if they were led to it by foul means, they have been deceived. 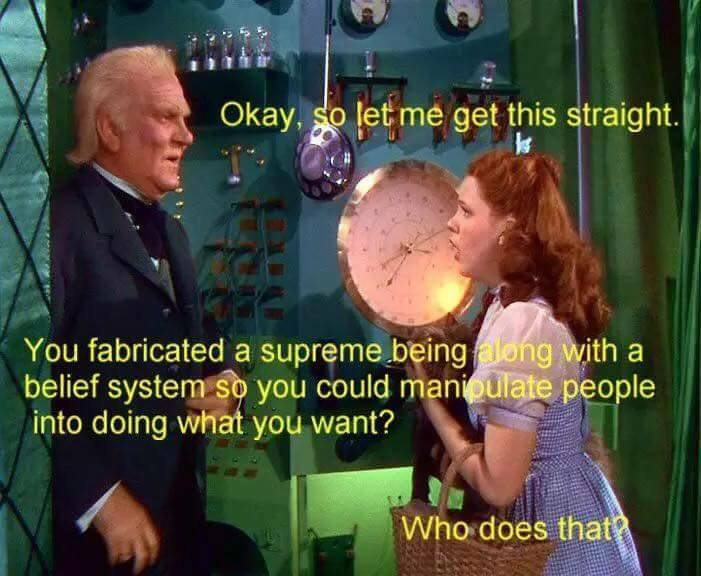 And I'd further suggest that for a 'supreme' being, any manipulation is a deception. But if the entire speech at 'The Last Supper' is nothing more than a deception? What then? (The last supper sits somewhere in the region of John: Chapters 13 to 18) If that entire 'finale' is only an act, a last gasp convincer for his followers, then shouldn't Jesus (who is also god remember) be viewed as a deceiver? And if he is 'him & himself' as 'they' suggest (God = Jesus) then doesn't that mean god is capable of deception too? A god with the ability to tell lies? "god tells the truth, the bible is the word of god, the bible is the truth." ...to a pile of rubble? And considered under this criteria, for whose benefit is his 'ultimate' speech? What is the purpose of 'his' 'fine prose' whilst in 'agony' on the cross? So, who in the bible is the great deceiver?